We rent clean, climate controlled Professional upscale restrooms complete with interior lights, flushing toilets, running hot and cold water, full sized mirrors, vanity tables, Urinals in the men's room, your choice of music and easy to climb steps. 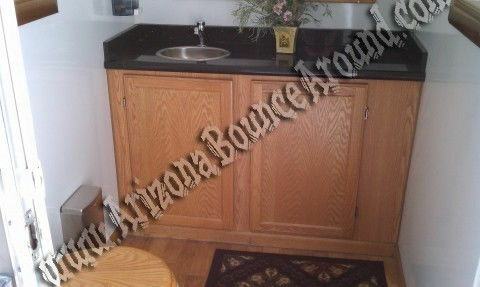 Our professional portable restrooms can be delivered right to your event at a fair price. We offer these portable restrooms in many different sizes including 2, 3 and 4 stalls and can also provide outside decor like shrubs and trees to make the restroom seem as part of your event. 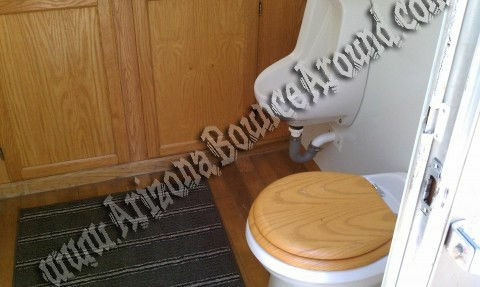 Gravity Play Events is your full service event restroom rental company in Colorado. All of our portable restrooms require electricity within 100 feet of the set up area and since the restrooms are trailer mounted we need to be able to drive up to the set up location with room for the truck to maneuver and turn around. Please read our FAQ for more information.